Dr. Hannah Baek is a wonderful dentist! She is always very personable with her patients. Her office and staff are fantastic as well. I would highly recommended Dr. Baek! Felt comfortable and confident with the care given. I can not say enough great things about Dr. Baek and her staff! A friend recommended her, and gave such rave reviews I thought I would give her a try. I usually have a lot of anxiety about visiting the dentist and having dental work done. Dr. Baek put me immediately at ease. I love that she does the cleaning and examination herself. The whole process is so quick. We’ve seen multiple dentists since moving to the area and they have all tried to upsell services. I trust that she genuinely wants to do what’s best for her patients. 1st time visit, quick, convenient, well taken care of! Dr. Baek was very professional,knowledgeable and provided excellent care. I highly recommend her. Dr. Baek is a very professional, friendly dentist who made me feel welcome and relaxed. My appointment was great as always. Dr. Baek is an awesome dentist. I am so glad that my family found her. So helpful and gentle. I’m going back for sure! It’s been a pleasant experience. I moved away from the area 2 years ago and never found a facility that even compared to Healthy Smile Dental. 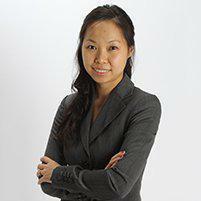 Dr Baek is very thorough, courteous and polite with all of her patients. I returned because I loved the service, the care and the overall atmosphere. Dr Baek and her staff are really patient and careful,professional. A great experience every visit. Always pleasant and very kind. Great work, Comfortable surroundings and very clean. Everyone in this office is courteous, friendly, and professional. I and my teeth are well taken care of. Dr. Baek is wonderful! My kids feel safe and comfortable with her. She always explains everything and talks to the kids about the importance of daily cleaning and flossing.